'65 Deluxe Reverb Head, Tube Guitar Amp Head from Fender in the Deluxe Amp series. 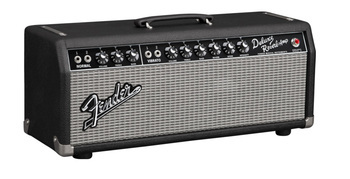 Fender has given us a sneak preview of two new amp heads in anticipation of the NAMM starting tomorrow. 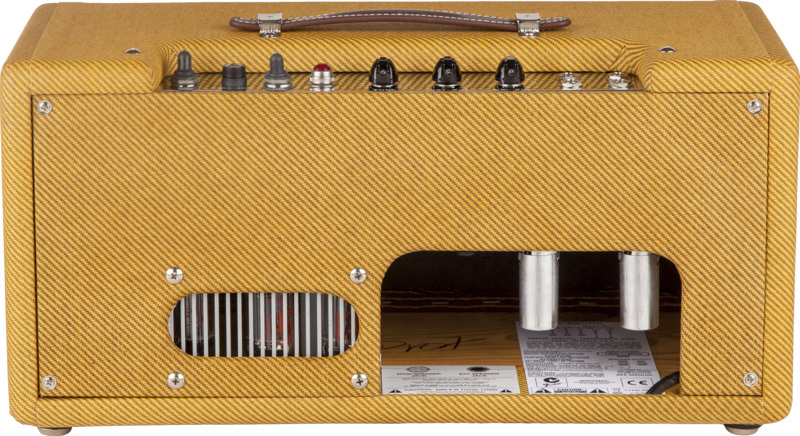 The '57 Deluxe Head of the is part of Fender’s Custom series of all-tube amps with hand-wired circuitry. Depending on the volume control setting, the amp head can deliver from harmonically rich clean tones, ideal for authentic vintage rock, blues and country, to thick and wildly distorted tones when cranked up. It provides natural compression that makes it great for recording too. The 12W amp employs two channels, instrument and microphone, each with its own Volume control, and provides four inputs in total (two mic and two instrument on 1/4" jacks) and two parallel speaker outputs on 1/4" jacks as well. 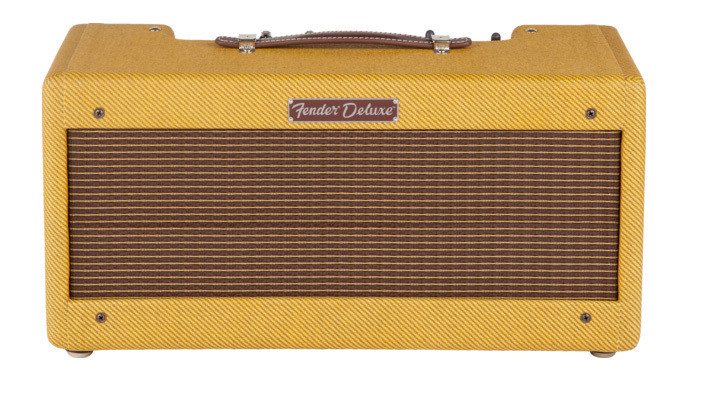 The '57 Deluxe features a 5Y3 rectifier tube, a solid pine cabinet with genuine lacquered tweed covering and vintage brown/gold grille cloth, plus leather strap handle. It can be paired with the Hot Rod Deluxe 112 Cabinet (sold separately). The price of the '57 Deluxe head, including protection cover, is $2 599.99. 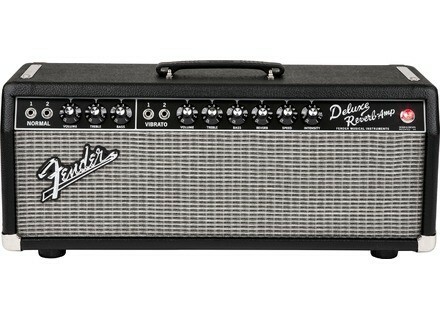 For its part, the '65 Deluxe Reverb Head is a 22-watt amp in black, perfect for rock, country or blues as the perfect companion of any 8-ohm cabinet. A two-button footswitch for reverb and vibrato on-off is also included in the price: $1399.99. [NAMM] AXL introducees USA Bel Air guitar AXL salutes all surf, twang, rockabilly and classic rock fans with the new USA Bel Air guitar. [NAMM] Pigtronix Infinity Looper update Pigtronix has announced a major firmware update for the Infinity Looper to be launched this week at the NAMM. [NAMM] New Mad Professor Simble Mad Professor will debut at NAMM 2014 a new touch-sensitive overdrive pedal called Simble.